Sound familiar? You see pop-up ads from futureupdates.theperfectupdate.net while browsing web sites that in general don’t advertise in pop-up windows. The pop-ups manage to find a way round the built-in pop-up blockers in Mozilla Firefox, Google Chrome, Internet Explorer or Safari. 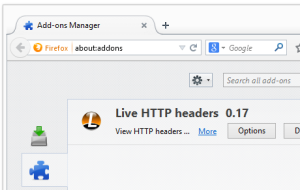 Maybe the futureupdates.theperfectupdate.net pop-ups appear when clicking search results from Google? Or does the pop-ups appear even when you’re not browsing? Does this sound like your experience, you apparently have some adware installed on your computer that pops up the futureupdates.theperfectupdate.net ads. So there’s no use contacting the site owner. The ads are not coming from them. I’ll do my best to help you with the futureupdates.theperfectupdate.net removal in this blog post. For those that are new to the blog: Some time ago I dedicated a few of my lab machines and deliberately installed a few adware programs on them. I have been monitoring the behaviour on these machines to see what kinds of adverts that are displayed. I’m also looking on other interesting things such as if the adware updates itself, or if it downloads and installs additional unwanted software on the machines. I first noticed the futureupdates.theperfectupdate.net pop-up on one of these lab systems. 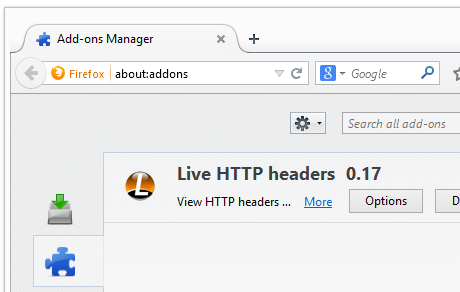 futureupdates.theperfectupdate.net was registered on 2015-02-20. The domain is protected by PrivacyProtect.org. 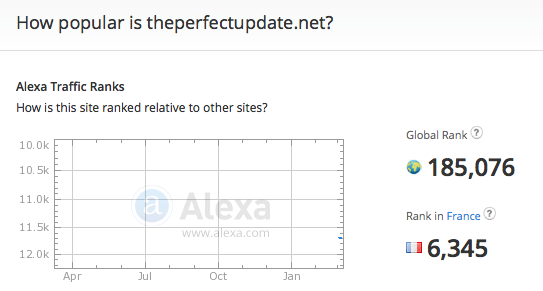 futureupdates.theperfectupdate.net resolves to the 199.115.114.52 address. YouGetSignal’s reverse WHOIS states that s.system-update.net resolves to the same IP. 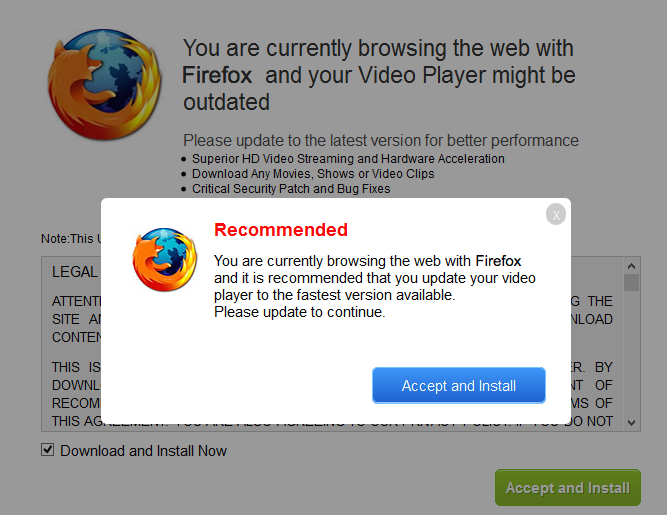 So, how do you remove the futureupdates.theperfectupdate.net pop-up ads? On the machine where I got the futureupdates.theperfectupdate.net ads I had BlockAndSurf, TinyWallet and BrowserWarden installed. 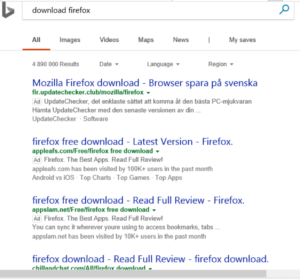 I removed them with FreeFixer and that stopped the futureupdates.theperfectupdate.net pop-ups and all the other ads I was getting in Mozilla Firefox. You can also review the add-ons you have in your browsers. Same thing here, do you see something that you don’t remember installing? Did you find any adware on your machine? Did that stop the futureupdates.theperfectupdate.net ads? Please post the name of the adware you uninstalled from your machine in the comment below. Did you just get a pop-up from softnewready.freeupgrade24.com and wonder where it came from? Did the freeupgrade24.com ad appear to have been launched from a web site that under normal circumstances don’t use aggressive advertising such as pop-up windows? Or did the softnewready.freeupgrade24.com pop-up show up while you clicked a link on one of the big search engines, such as Google, Bing or Yahoo? If you also see this on your system, you apparently have some adware installed on your machine that pops up the softnewready.freeupgrade24.com ads. Contacting the owner of the site would be a waste of time. They are not responsible for the ads. I’ll do my best to help you remove the softnewready.freeupgrade24.com pop-up in this blog post. Those that have been reading this blog already know this, but for new visitors: Not long ago I dedicated some of my lab machines and knowingly installed a few adware programs on them. I’ve been observing the actions on these machines to see what kinds of advertisements that are displayed. I’m also looking on other interesting things such as if the adware updates itself automatically, or if it downloads and installs additional unwanted software on the machines. I first spotted the softnewready.freeupgrade24.com pop-up on one of these lab machines. softnewready.freeupgrade24.com was created on 2015-01-26. softnewready.freeupgrade24.com resolves to 198.7.56.112. So, how do you remove the softnewready.freeupgrade24.com pop-up ads? On the machine where I got the softnewready.freeupgrade24.com ads I had PriceHorse, PriceLess, OfferBoulevard and SpeedCheck installed. 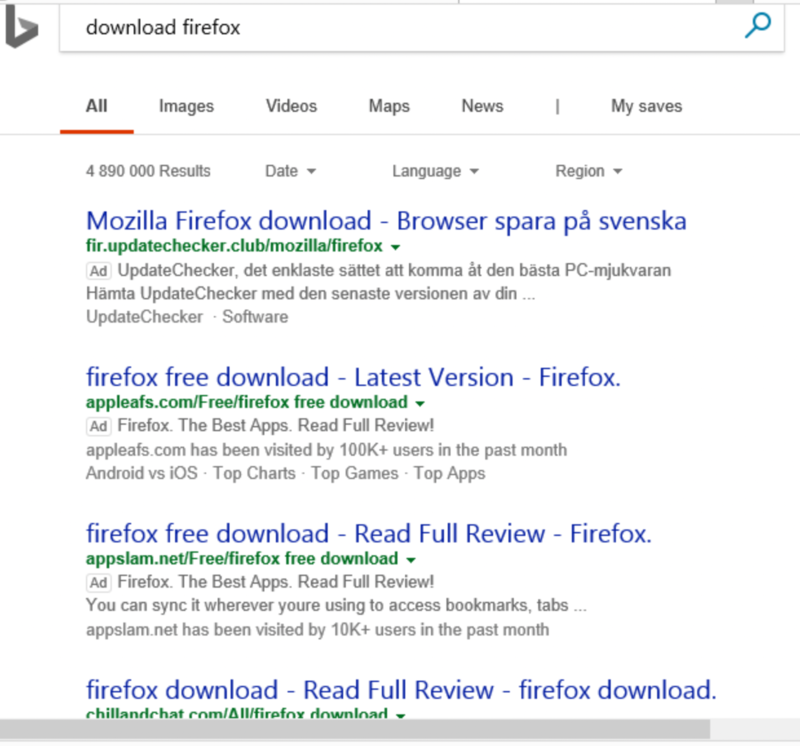 I removed them with FreeFixer and that stopped the softnewready.freeupgrade24.com pop-ups and all the other ads I was getting in Mozilla Firefox. Do you see something suspicious in there or something that you don’t remember installing? Tip: Sort on the “Installed On” column to see if something was installed about the same time as you started seeing the softnewready.freeupgrade24.com pop-ups. Then I would check the browser add-ons. Adware often appear under the add-ons menu in Mozilla Firefox, Google Chrome, Internet Explorer or Safari. Is there anything that looks suspicious? Something that you don’t remember installing? I think you will be able to find and remove the adware with the steps outlined above, but in case that did not work you can try the FreeFixer removal tool to identify and remove the adware. FreeFixer is a freeware tool that I’ve developed since 2006. It’s a tool designed to manually find and uninstall unwanted software. When you’ve identified the unwanted files you can simply tick a checkbox and click on the Fix button to remove the unwanted file. Did this blog post help you to remove the softnewready.freeupgrade24.com pop-up ads? Please let me know or how I can improve this blog post. Sound familiar? You see pop-up ads from pcchecker.plugin-update.org while browsing sites that in general don’t advertise in pop-up windows. The pop-ups manage to bypass the built-in pop-up blockers in Chrome, Firefox, Internet Explorer or Safari. Maybe the pcchecker.plugin-update.org pop-ups show up when clicking search results from Google? Or does the pop-ups appear even when you’re not browsing? Does this sound like what you see your computer, you almost certainly have some adware installed on your system that pops up the pcchecker.plugin-update.org ads. So don’t flame the people that runs the website you were at, the ads are presumably not coming from that website, but from the adware that’s installed on your machine. I’ll try help you to remove the plugin-update.org pop-ups in this blog post. If you have been reading this blog already know this, but if you are new: A little while back I dedicated some of my lab computers and intentionally installed a few adware programs on them. Since then I have been tracking the behaviour on these computers to see what kinds of advertisements that are displayed. I’m also looking on other interesting things such as if the adware auto-updates, or if it installs additional unwanted software on the computers. I first noticed the pcchecker.plugin-update.org pop-up on one of these lab computers. pcchecker.plugin-update.org resolves to 198.7.56.118. pcchecker.plugin-update.org was created on 2015-01-20. 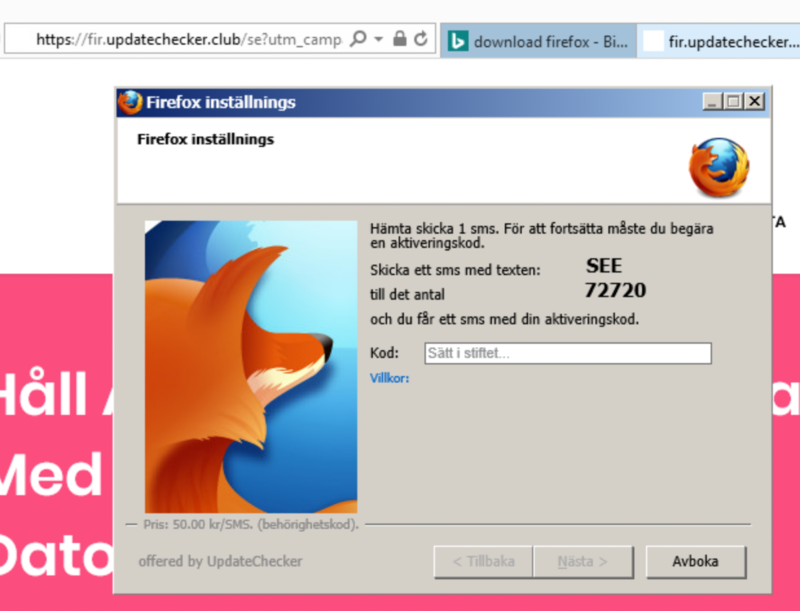 So, how do you remove the pcchecker.plugin-update.org pop-up ads? On the machine where I got the pcchecker.plugin-update.org ads I had PriceLess, PriceHorse, OfferBoulevard and SpeedCheck installed. I removed them with FreeFixer and that stopped the pcchecker.plugin-update.org pop-ups and all the other ads I was getting in Mozilla Firefox. 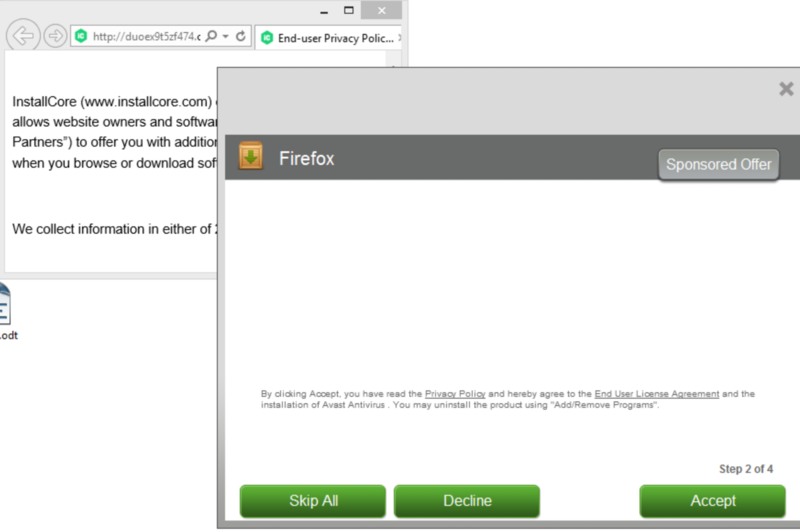 The issue with pop-ups such as this one is that it can be initiated by many variants of adware. This makes it impossible to say exactly what you need to remove to stop the pop-ups. You can also check the add-ons that you have in your browser. Same thing here, do you see something that you don’t remember installing? Did this blog post help you to remove the pcchecker.plugin-update.org pop-up ads? Please let me know or how I can improve this blog post. Well, this is another misleading advert, hosted at hdpluginnow.com. If you download the “Flash Video Downloader” you will get a file called FlashPlayer__6741_i1387048386_il2537.exe digitally signed Shetef Solutions & Consulting. Now all of a sudden it’s not a downloader, but a “Flash Player” 🙂 That file is detected by many of the anti-virus programs, so don’t run it. Did you also see this error message? Did it also appear on hdpluginnow.com? on the Google search page when starting your browser? If you get this error message, don’t click it. Since the alert is inserted into the Google start page, it may appear the message is comes from the Google, but Google has nothing to do with it. In my case, the alert message was inserted by some adware that was installed on my machine. I got this error message when using Mozilla Firefox, but I assume you will also see the same type of message when browsing with Google Chrome or Internet Explorer. The error message will probably also appear on other search engines such as Bing and Yahoo. To remove these misleading messages you need to scan your computer for unwanted software. If you are comfortable using manual removal tools you can use FreeFixer to assist you when tracking down and removing the unwanted software that injects these messages. What adware did you find on your machine? If that is the case, you might have some potentially unwanted software on your machine, typically adware. I got lots of these “Adobe Flash Player is Outdated” messages while I was testing a download on my lab machine, a download that I new bundled lots of software. I was using Mozilla Firefox, but I think these warning can appear if you are browsing with Google Chrome or Microsoft Internet Explorer as well. 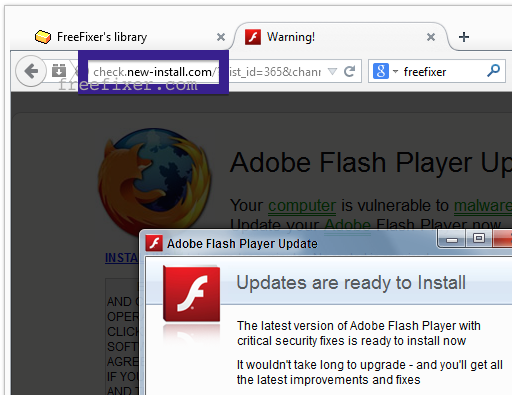 And obviously, these “Flash Player is outdated” messages are just fake. When clicking on the OK button, you will get a download that is detected by many of the anti-virus programs. If you want to download or update the Flash Player. Go to the official Adobe site. Trust nothing else for Flash downloads. The “Current version of Adobe Flash Player is outdated” warning messages appears to be hosted on a web site called update-for-pc-1024.com. Did you also see the warning message on this site? So, if you’d like to get rid of these warning messages, and you have some adware on your machine like me, you need to gets your hands dirty. I had lots of them. Salus, MyBestOffers, WordProser, PriceHorse, etc, etc. 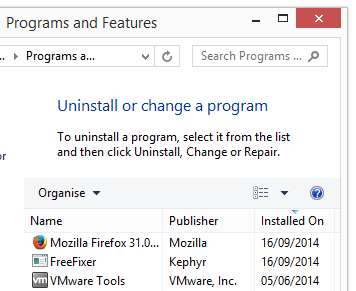 Some of them could be uninstalled from the Windows Control Panel, but there remained some processes running. To deal with those, I’d recommend a scan with the freeware tool FreeFixer that I’m developing. Thank you for reading. Hope this helped you with the removal. When I got this message I was redirected to a “Java Update”. The update was digitally signed by a company called Fileangels, so it’s clearly not an official Java update. 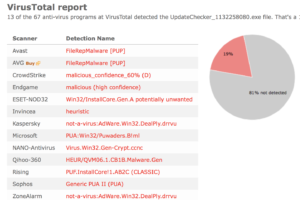 The Fileangels file is detected by some of the anti-virus programs at VirusTotal. A real Java update should be digitally signed by the company that owns Java, that is Oracle America, Inc. I got these faked Java warnings while browsing with Firefox, but they can probably also appear if you are using Chrome or Internet Explorer as you web browser. So, why are you getting these faked Java Update pop-ups? Most likely you have some adware installed on your machine. When I got these ads, I had lots of adwares installed on my lab machine. After removing them with FreeFixer, the “Java Update” pop-ups stopped. These where the adware programs I had and uninstalled: Browser Warden, SmartOnes, TinyWallet, BlockAndSurf, HQ-Video-Pro-2.1c. To remove these faked Java warnings I would begin to examine the Add/Remove programs dialog in the Control Panel to see if something suspicious is listed there and remove it. Do you see some program that you don’t remember installing? If you sort the programs on the “Installed On” date, do you see anything that was installed approximately about the same time as you first noticed the “Java” warnings? I think you should also check the add-ons installed into Chrome, Firefox, Internet Explorer. Do you see anything suspicious? Something that you don’t remember installing? If that did not fix the problem, you can give FreeFixer a try. It’s a tool that I’ve been working on for some time now. FreeFixer is designed to help you manually identify and remove unwanted software, such as the adware that’s running on your machine. FreeFixer scans the processes running on your computer, browser add-ons, startups, scheduled tasks, recently modified files, and lots of other locations. FreeFixer is freeware and its removal feature is not crippled liked many other malware removers out there. If FreeFixer solved your problem, please help me spread the word and let your friends know about it. Tip: If you are having difficulties to figure out whether a file or setting in FreeFixer’s scan result is legitimate or if it should be removed, please check out the information shown on the More Info page. It will show a VirusTotal report which can be quite useful when trying to determine whether to keep or remove a file. The “More Info” links in FreeFixer. Click for full size. Which adware programs did you have to uninstall to get rid of the “Java Update” warnings? Update 2014-10-26: These fake Java warnings are still going on. Found the same type of pop-up, but this time it mentions another web site: d.andoie.com. What web site does your warning message mention? When clicking on the warning message, the faked Java site at phohyt.com opens up. Is this the site you are redirected to as well? Update 2014-10-27: The pop-ups are still appearing. Now they mention d.mobcgm.com and d.mobdty.com. If clicking the OK button in the dialog, apprfv.com opens up containing a faked java update site. Update 2014-11-11: This is still going on. 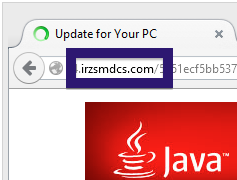 zpkaid.com is used host the fake Java Update site. The title of the page is “Update for Your Computer” and the download is signed by Safe Down. Update 2014-11-13: Today the fake update site is hosted zrmica.com. Update 2014-11-14: Today the fake site is hosted at zszpkt.com and ztcdnr.com. The downloads are signed by “Safe Down” and Fileangels. Update 2014-11-16: Now the fake site is hosted at zwkuvp.com.